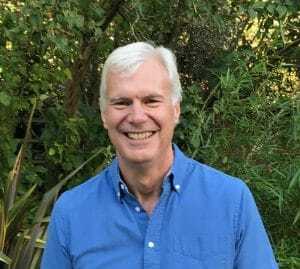 Paul Robinson from Recovering with T3 is a fellow thyroid patient advocate and writer here in the UK, which is refreshing as I can’t say I come across many compared to how many US thyroid advocates there are. Why is this relevant? It’s important that UK thyroid patients who are on the NHS here in the UK are advocated for and given a voice, and Paul does just that. 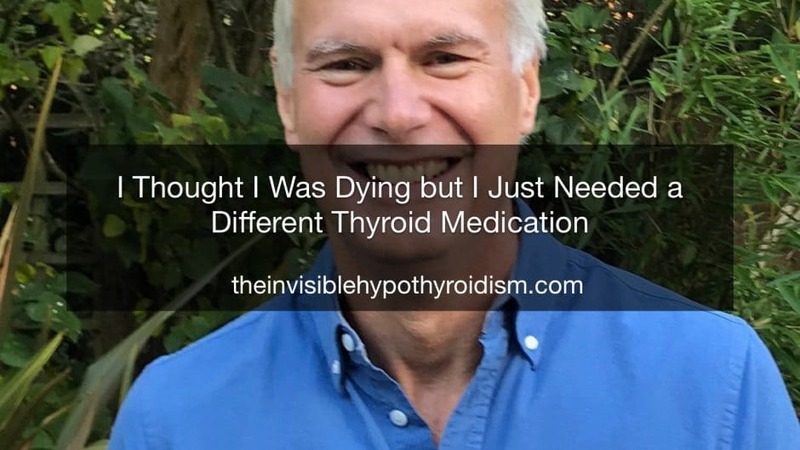 Unlike the thyroid patients who do well on standard T4-only medication such as Levothyroxine, Paul was one who did not – like myself. And he shares his journey with this below. were so few red cells compared to the white ones – my blood was the palest pink! I now know that the allergies and immune system issues were likely connected to the beginnings of hypocortisolism and hypothyroidism. age. I had not been feeling well for quite a while. I’d been struggling with weight gain, gut issues, dry skin, remembering peoples names and fatigue. I was sleeping a lot longer. My job at the time was very demanding and I was managing a lot of people in a highly technical area – so it was extremely difficult to function in work. I also had a toddler and a new baby – so I had to be a Dad and a leader in the workplace. This can be a balance at the best of times but with my symptoms it was tough. Of course I put my feelings down to stress. But when I realised one day that my heart rate was only 32 beats per minute I knew something was very wrong. fortunate that she tested these. My doctor said one little tablet of Levothyroxine (T4) would fix it. Ha! It never did fix it. No matter what dosage was tried over a number of years (from 50 to 200mcg), my symptoms never improved a lot. But my thyroid labs apparently in the normal range. This is typical of so many thyroid patients and now I fully understand why, but let me explain the rest of the story. would get listened to more if I were paying for it. I was naive of course. treated. They told me the same symptoms were caused by something else now. Their logic baffled me – it was nuts. I eventually gave up on the terrible medical advice I was being given and decided that after about 5 years that I would have to fix myself. There was no Internet then, so I went into Blackwell’s bookshop in Oxford and bought endocrinology textbooks that endocrinologists had sold back or traded in, and learnt the basics – which was not that hard. I’m basically a scientist and am used to scientific and engineering problem solving and thinking. So, it helped me piece all the information together. NHS as they still deny it is anything other than an inactive metabolite). By this stage I had also developed adrenal issues or more specifically low cortisol issues (as these days I no longer believe in the concept of Adrenal Fatigue). I was a mess. I had low blood pressure. I was passing out on most days. I had lost weight from 170 pounds (12 stones or 76 kg) to…..wait for it…. 110 pounds (just under 8 stones or 50 kg), i.e. I had lost about 35% of my body weight. I looked like hell. In contrast to most cases of poorly treated hypothyroidism, which causes weight gain, hypocortisolism can cause severe weight loss. My symptoms worsened. I was dreadfully fatigued, and had to sleep 4 hours in the middle of the day to cope. It was a struggle just to climb the staircase. Work was extremely difficult and I began to have periods of time off work, which got progressively longer. Sometimes I would pass out in work and then find myself in a corridor surrounded by concerned faces. I had two small children and a wife while all of this was going on. It was hard on everyone. I was not easy to live with as I felt so ill and when I was in work I was exhausted when I came home. I had no energy to play with my children and very little patience. We had to turn down invites to see friends or go out – I just wasn’t well enough. I started to feel pretty isolated and alone in this issue. I thought I was dying. I put all of my financial affairs in order, and tried to prepare things so that my family would be in the best situation possible. My time off work became longer than periods in work. I eventually lost my career and was medically retired. Relationships were damaged – some it seems permanently. I lost friends. Even some neighbours no longer spoke to me because I wasn’t working and they didn’t understand the problem I had – I guess they just thought I was lazy. I was trying to persuade doctors to give me a trial of Liothyronine (T3) as I believed it might address my issues. I had been pretty well prior to thyroid problems, and continued to be sick on T4 therapy, so I concluded that it was the T4 that just didn’t work. Logical I thought, but most doctors did not get that logic. Eventually I persuaded a doctor to give me natural desiccated thyroid (NDT) – which didn’t work either. Then I got T4/T3 – it still didn’t work. He added HC – no success. I eventually got the T3-Only that I had asked for to begin with. It then began to reduce my symptoms. I got my brain and gut function back immediately and other things improved over time. But the hypocortisolism did not improve so I was still very fatigued and had low weight and low BP. I had to invent the Circadian T3 Method (CT3M) on top of dosing T3 correctly in order to fix the low cortisol issue. This entire process took me about 3 years of using T3 in order to figure it out. As a result I knew I had a safe protocol for using T3-Only and an additional protocol for improving cortisol levels. My health finally began to seriously improve. I felt vindicated and shared this with one of the previously unhelpful endocrinologists. I was told that I shouldn’t be on the T3, it wasn’t required and that all I needed was T4! I gave up much respect for most of the endocrinology profession at that point. I do know that there are some good ones and some good doctors but the majority are stuck in the old TSH-FT4 paradigm, which is based on flawed assumptions and does not work in the majority of cases. I now know why I did Not Respond to T4-Therapy. In 2018 I have tested both DIO1 and DIO2 gene defects and am homozygous for both (this means I have both copies of the gene in each case. This combination affects only 2% of the population). The gene defects cause impaired D1 and D2 deiodinase enzymes, which are necessary to convert T4 to T3 in our cells. In addition to this, Hashimoto’s destroys thyroid tissue. The thyroid gland is the Most Important Converter of T4 to T3 in the body (a more important converter than the liver). When it is gone you lose nearly 25% of your ability to convert T4 to T3. Research has shown that you do lose 25% of your T3 through the small amount of T3 production within the thyroid and its big conversion contribution. So, on top of the DIO1 and DIO2 gene defects, the severe thyroid tissue damage from Hashimoto’s was making my conversion issue far worse. This cannot be replaced with T4 generally (unless the person is a very good converter). Note: Thyroid patients who have had thyroidectomies also lose this huge conversion capability due to the loss of their thyroid. Never giving up was the most important thing that got me through it all. But some things you cannot fix – the damage and loss that comes along the way. I carry much of this to the present day – 30 years on. I ended up writing the Recovering with T3 book. My family doctor thought the protocol I had developed was so useful that I should share it. So, I wrote it and released in first in 2011 (although in 2018 I have brought it totally up to date). Recovering with T3 explains my own journey in more detail and fully explains all about the only real thyroid hormone T3. It shows how to use T3 safely and effectively, if someone cannot get well on any of the other therapies. T3-Only should always be tried only after someone cannot get well with the easier to use treatments and other issues have been resolved (like low ferritin or low vitamin D). The book also introduces the CT3M – which is helpful if a patient has low cortisol (and it can avoid the use of hydrocortisone or adrenal glandulars). Two years later I wrote a companion book The CT3M Handbook – which has more details in CT3M for those people that really need to use it fully. This book also has an up to date 2018 edition now. Over the past 10 years I have worked online with thousands of thyroid patients to help them recover too – with good success rates. One thing I have realised over the past years is that there are still so many people who are not getting well on T4 or NDT or T4/T3. In my opinion, this is not because they need T3. It is largely because the treatment approach and fixation with using TSH and FT4 as the prime measures is keeping them sick. I began to think about what I called the Thyroid Maze. How can people escape it more quickly? If someone is stuck in the Thyroid Maze and remains trapped with symptoms for many years then the types of damage (career, personal, a life derailed) is more likely to happen to them. Getting out of the maze as FAST as possible is the best way to avoid that. So, I began working on my latest book The Thyroid Patient’s Manual to provide a simple, effective, easy to read book that draws on all the great thyroid research papers that have become available over the last 10 years or so. The Thyroid Patient’s Manual covers pretty much everything regarding thyroidology and endocrinology that a patient needs. I also spent time discussing things with thyroid researchers directly through email conversations. I really felt there was a need for a book that had real nuts and bolts in it – actual figures for everything where they were available. I didn’t want it to just have pointers to things. I wanted it to be a way for someone to get out of the Thyroid Maze very, very swiftly. Yes, people may need medical support for the right medication or tests. Yes, doctors can be difficult and so can CCGs (medical areas in the UK). But at least armed with a good manual that they understand, patients then have a better chance of success. It has been a life that I had definitely not expected to travel! Sadly, things appear to have worsened rather than improved in the UK in terms of the treatment that thyroid patients receive. I have been very fortunate to have received NHS T3 for 20 years – first in North Somerset and then in East Anglia. My wife and I are likely to move back to the Somerset area sometime in 2019. So, I recently wrote to the North Somerset/Bristol Endocrinologists in the University Hospital Bristol to double check with someone that my history on T3 would mean I’d still have it prescribed. I have already been told by a doctor’s surgery that the CCG would not allow it without a recommendation from an endocrinologist within the CCG area. I naively thought my history would be a strong argument for the prescribing of T3. I was naive. The answer was blunt and simple, “No”. Their prepared statement was that T4 is all that is required, and that there is no evidence for the use of T3 at all, even in combination with T4. They would not prescribe it under any circumstance. I have no thyroid tissue left at all now due to Hashimoto’s. No thyroid tissue means I have lost the 25% contribution to T3 production of the thyroid gland – most of this is conversion capability. This cannot be replaced with T4 generally. So, I had a few days of a lot of stress. I know what T4 would do to me. I have trialled it a few times over the last 20 years to see if things had changed and my response to it is as disastrous as ever. I would be an invalid again. So, it seems like I am faced with another battle. There are a lot of people and groups around the UK who are battling poor treatment policies too – so I am not alone in this. However, it worries me greatly that if they can do this to me, who has such extreme symptoms on T4 and a strong case to remain on T3, then they can do it to any and all thyroid patients. It is plainly wrong and it needs to stop. It needs to change not just for me but for all thyroid patients that need the best care possible to recover fully and as fast as possible. This needs a new approach to the diagnosis and treatment of thyroid hormone issues. My latest book suggests a different way of doing things but it also needs big changes from within the field of endocrinology. I and others will fight on as we have had to do in the past. One day we will succeed and there will be better treatment for all thyroid patients. Paul Robinson is the founder of Recovering with T3 and creator of the Circadian T3 Method (CT3M). His work can be found on his website Recovering with T3, as well as in his three books; The Thyroid Patient’s Manual, Recovering With T3 and The CT3M Handbook. Paul also has helpful videos on his YouTube channel and can also be found on Twitter and Facebook. Paul has worked with thousands of thyroid and adrenal patients, via many internet forums and some coaching sessions, offering limited numbers of 1-1 coaching sessions via Skype, phone or email for those thyroid patients who would like some assistance. You can contact Paul via his email: [email protected] to find out more about this option.